"Adding value through experience and common sense." 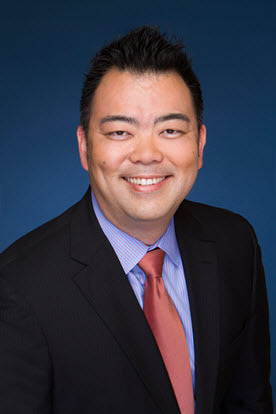 Tomohiro J. Kagami’s practice includes probate administration and litigation, trust administration and litigation, conservatorships, and estate planning. Mr. Kagami counsels clients regarding all aspects of probate, trust, and conservatorships, including fiduciary appointments and removals, marshaling of assets and sales of assets within trusts, conservatorships and estates, and fiduciary accountings. He has resolved and settled numerous disputes involving fiduciary appointments and accountings, asset management and distributions, interpretation and validity of estate plans, and fiduciary compensation. He is a second generation Japanese American and fluent in Japanese. I like to find solutions for my clients in an efficient manner. My experience in probate, trust, conservatorship, and estate planning matters and my legal background allow me to help individuals and companies identify their issues or problems to develop strategies and effective plans. I find gratification in using the law to help my clients. I am a proficient listener and strive to engage and communicate with my clients throughout the representation. By better understanding the nature and background of the matter and the clients’ concerns, I am able to explain the clients’ situation in a legal setting and obtain the result catered to them. In any matters involving the Japanese language, my fluency in Japanese allows me to communicate directly with my clients and interested parties. I try to assist the clients with identifying the legal issues and differentiating the non-legal issues in their matters. At times there is a history of events that often cloud the legal task at hand. By listening to the clients and working with the clients, I am able to set reasonable expectations for clients and devise a plan accordingly. Represented out-of-state nieces in a conservatorship for their aunt who required assistance for her activities of daily living and her finances and was susceptible to undue influence. Prior to the conservatorship, a nephew had taken control over the aunt, married her, changed the aunt’s trust with nephew as the sole beneficiary, liquidated many of her trust assets, and neglected care for the aunt. Successfully appointed the nieces as aunt’s conservator, invalidated the trust benefitting the nephew, annulled the marriage, marshaled assets that nephew liquidated, and facilitated the move of the aunt from California to the State the nieces resided. Represented nonresident executors named in a Japanese will on a probate, wherein decedent was a Japanese citizen domiciled in Japan, but had assets to probate in California. Successful appointment of nonresident executors, probate of decedent’s Japanese will, sale of decedent’s real property, facilitate in reduction of estate taxes and fiduciary income taxes, and distribution of all probated assets to beneficiary residing in Japan. Represented beneficiary in a trust contest. Successful result by negotiating a higher percentage share of trust assets to client. You are urged not to send us any information contained in an e-mail or any attachment that you believe is highly confidential until such time as we have indicated to you that we are able to review that information. By clicking “accept,” you agree that submitting unsolicited e-mail information to us does not constitute a request for legal advice and that you are not forming an attorney-client relationship with us by submitting that information.